The fourth of July was so much fun at our house, but summer isn’t over yet! We have just enough time to bust out a few more summer recipes like this Southern English Pea Salad. Southern Pea English Salad may or may not be Southern at all. 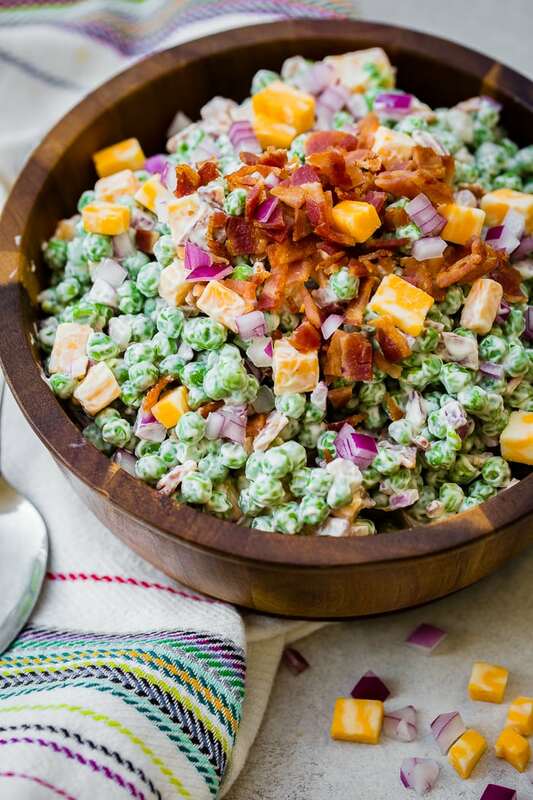 I don’t know where English pea salad originated from, or why it’s so dang good considering it’s the world’s shortest list of ingredients, but I do know that any time someone shares a photo of a Southern Potluck or church spread, there’s that pea salad! Clearly it’s worth talking about, and while the name says it’s an English dish, well bacon and the fact that I keep seeing it associated with the South makes it a dash of Southern in my book. This fourth of July we had Cade’s mom, brother and his family and a friend over for a fun day of swimming and eating. Yes, I did wear a red bathing suit. Yes, I did get mistaken for the lifeguard 100 times. I have had the worst time trying to find a bathing suit that wasn’t cut crazy high or crazy low all year and this one I love, though I will watch where I wear it now. Back to the BBQ, we swam, the kids became exhausted and we headed back to the house where we cooked up classic burgers thanks to our 2 Secrets post, pea salad, tomato mozarella salad, Nancy’s Southern Grape Salad, and the dreamiest Banana Cake with Cream Cheese Frosting EVER. I’ll share that recipe soon. When I was starting to write this post on Southern English Pea Salad I researched what questions people had about pea salad and everything revolved around carbs. Now I’m not sure why that is, but in case you were wondering, I’ll answer them to the best of my knowledge. English Pea Salad has a few different names, but it’s all the exact same thing, cold pea salad. You may hear it called pea salad, English Pea Salad, Southern Pea Salad, Cold Pea Salad or as we’ve called it, Southern English Pea Salad. Some recipes also call for hard boiled egg which we left out this time as I’m really enjoying it as a straight up pea salad lately. I’ve added it into the recipe as optional in case you want to add it. Pea salad is considered to be low carb, gluten free and a slightly healthier option to pasta salad. 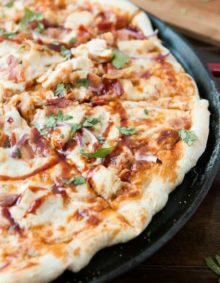 This doesn’t mean it straight up is healthy as there is bacon, cheese and mayonnaise to add to the fat. If you’re looking for a healthy side dish, try our Dill Pea and Cucumber Salad. It’s light and refreshing without the fat of a traditional Pea Salad. 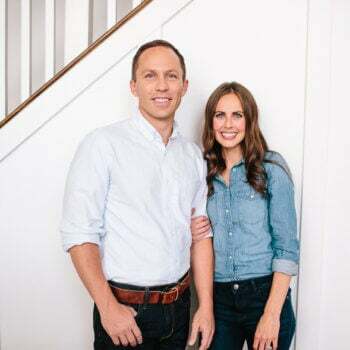 I should mention before I answer how many carbs in pea salad, all of our recipes have nutritional information down by the recipe at the bottom of the post, so if you wanted to know about how many calories in pea salad or anything else, please scroll on down and you’ll find that info. How many carbs are in the pea salad can vary depending on what you are adding, but anywhere from 15-20 seems to be the norm. Pea salad generally has anywhere between 300-350 calories depending on what the ingredients are. 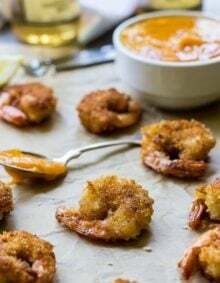 Again, scroll down to see the breakdown for this particular recipe. There’s a BIG. FAT. SECRET. to making English pea salad. Do you know what it is? Southern English pea salad tastes best with only slightly defrosted, never cooked frozen peas. 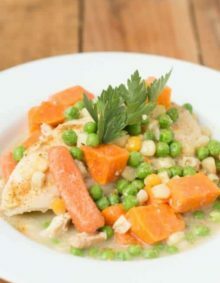 That’s right, grab your bag of peas and throw them into the fridge to defrost them a little, however when you pour them into the bowl you should hear them falling and they should have a small crunch to them as they are still a little frozen. Trust me on this one, it’s a game changer. Mix up a little mayo, apple cider vinegar and s&p for your dressing in a large bowl. Add in peas, chopped cheese, chopped red onion (we prefer small bits and not slices as that’s more cumbersome to eat) and hard boiled egg if you choose. Gently fold everything together and then add the bacon, giving it one last fold to incorporate. Taste as you go as you may need additional seasoning. Can you Prepare Pea Salad Ahead of Time? 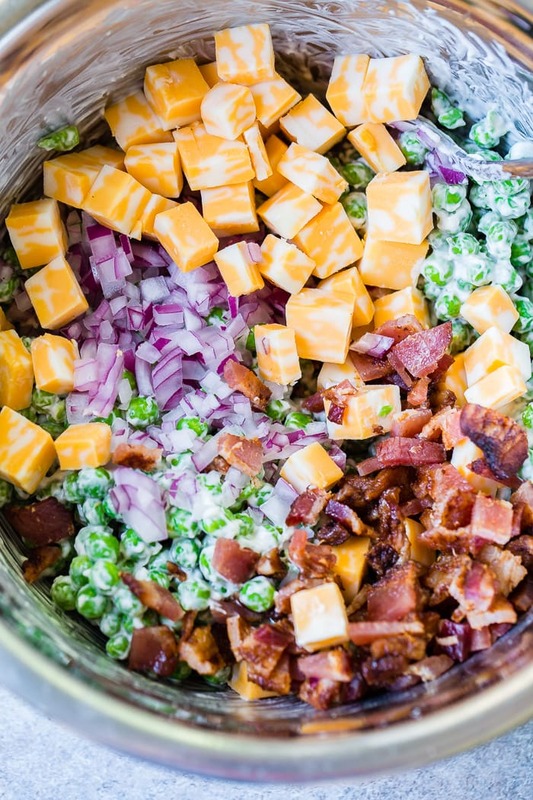 English pea salad can be prepared but not assembled ahead of time because no one wants soggy bacon or cheese. Leave the peas in the freezer until an hour before assembly. Or even up to 3 hours before you can move them to the fridge. Cook and chop the bacon and store in a bag in the fridge. Cook, cool and chop the eggs and store as well in the fridge. Chop the cheese and you guessed it, back in the fridge. Mix the dressing and store in the large mixing bowl with saran wrap over it in the fridge. When you’re ready, just toss everything together and serve immediately. If you must mix it ahead of time, still leave the bacon until you’re ready to serve. Do you Cook Peas for Pea Salad? No, please don’t ever cook your peas for Southern English Pea Salad. It’s meant to be a cold salad much like potato salad. 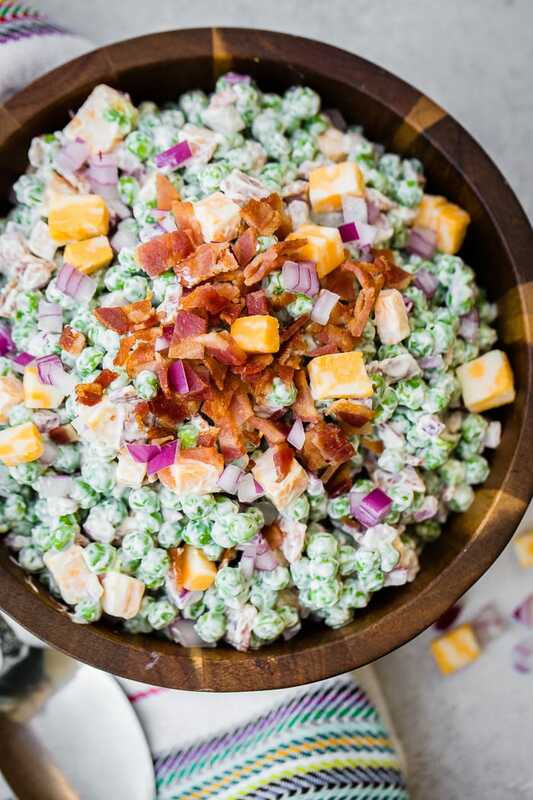 Because the mayonnaise breaks down the bacon and cheese we don’t much enjoy pea salad more than a day or two later, and it must be stored in an airtight container. Most importantly, you cannot freeze pea salad no matter how badly you want to keep it. The mayonnaise separates and the ingredients become tender and yucky from the freezer. 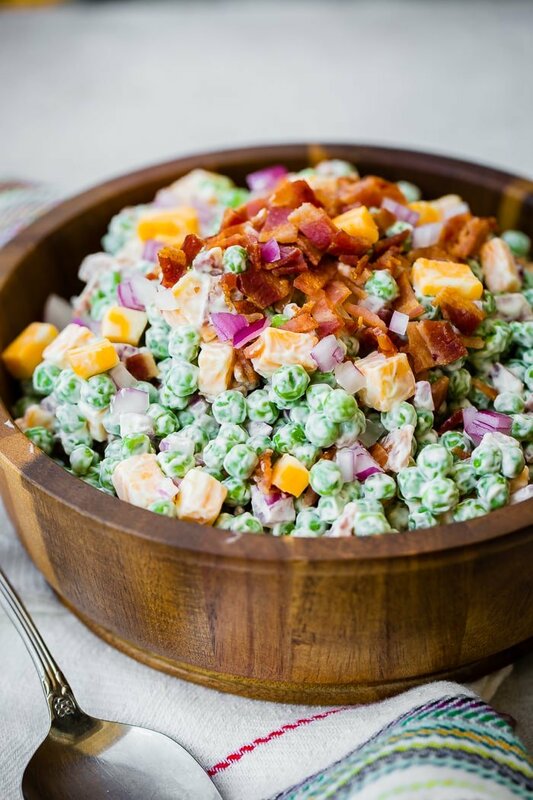 I’m not sure about you, but there’s just something wonderful about the classic recipes like Southern English Pea Salad and it’s not just that it’s tradition, it’s that sometimes flavors need a chance to speak for themselves again and simple really does allow that to happen. Looking for more cold salad recipes? We love a good potluck, so make sure you try our Easy Pea Pasta Salad, California Club Pasta Salad, Dill Pea and Cucumber Salad or one of our summer grilled recipes like, Grilled Corn Avocado Tomato Salad or Mexican Grilled Mexican Corn Salad. The fourth of July was so much fun at our house, but summer isn't over yet! 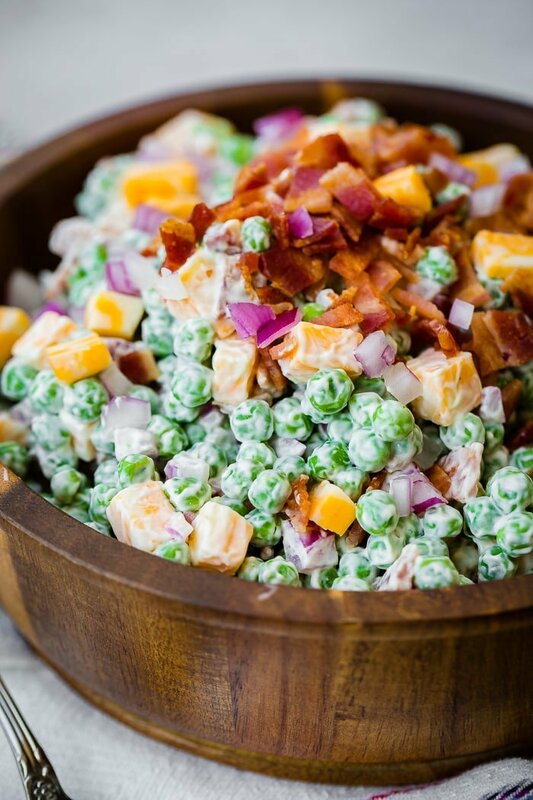 We have just enough time to bust out a few more summer recipes like this Southern English Pea Salad. 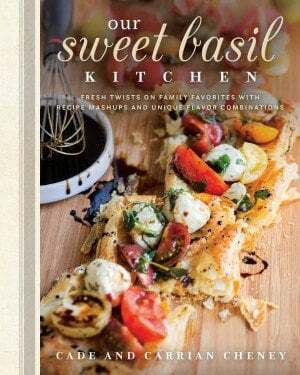 This is such a summertime classic dish! It wouldn’t be a party without having this! I haven’t had this in so long, but you’re right, it is so good! This was really delicious. I didn’t use the hard boiled eggs. The recipe took a whole 5 minutes to make. I didn’t have any bacon on hand, (cooked anyway). So I used turkey pepperoni. I usually bake a lb. of bacon at 350 degrees for about 40 minutes or so and use it all week long. Just didn’t want to cook any this time. But will definitely add it the next time. Thanks so much for the recipe. Pepperoni in it would be awesome!! We will have to try that! We are so glad you enjoyed it! Thanks Liz! It is one of our favorites!! 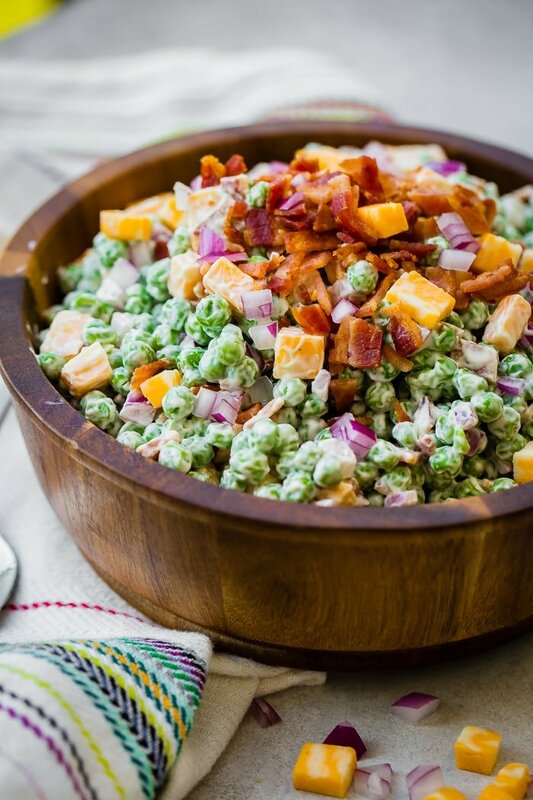 I love a good pea salad and this one looks delicious! Totally pinning! Yeah!! Enjoy! It is really so dang good! Do not see nutritional breakdown. It’s right at the bottom of the recipe card.